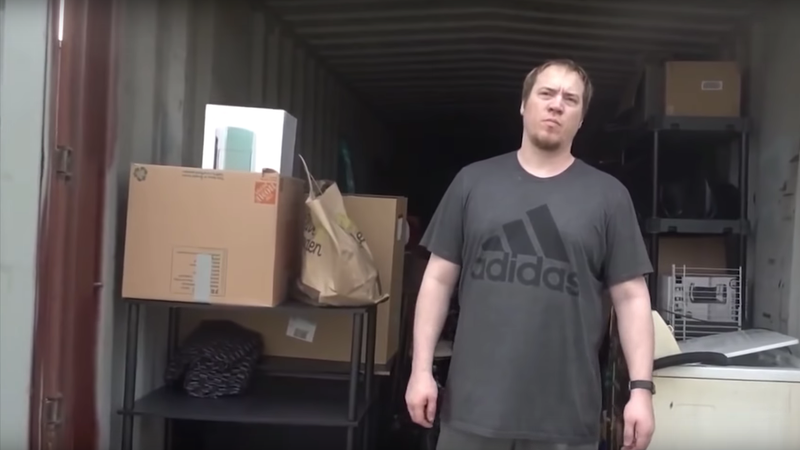 Last year, a YouTuber named Mike Martin who posted on a channel called DaddyOFive came under fire when viewers began to point out that the wacky “pranks” he and his wife played on their kids were definitely child abuse. The Martins had amassed nearly 800,000 subscribers with videos about screaming at their kids, cursing at their kids, and encouraging the kids to physically hit each other, and while they claimed that it was all fake, experts noted that kids can’t really tell the difference between fake abuse and real abuse—it is, in other words, all real abuse. Two of the kids were taken away, with a judge granting custody to their birth mother, and the Martins were given five years of probation after pleading guilty to child neglect. Now, though, Mike Martin is already back, and he’s posting more “prank” videos under the name FamilyOFive. A YouTuber known as Amanda The Jedi broke this all down in a video of her own (via Reddit), and she points out that the Martins are still encouraging the three kids to fight and scream as some kind of sick joke. She says some of the new videos involve making jokes at the expense of the parents, which is an improvement, but a lot of it still centers around the kids getting embarrassed or injured. The Daily Dot dug into the FamilyOFive channel a bit more, noting that there’s one video where Mike Martin “berates his son for not holding the camera steady while he’s yelling” and another shows one of the kids with “a bruise under his eye” that he says came from falling off of his bed. Both The Daily Dot and Amanda The Jedi expressed some surprise that the Martins are able to go right back to doing this even while under probation, but it evidently hasn’t stopped them. Basically, one of the worst things on the internet is back, almost like nothing ever happened.